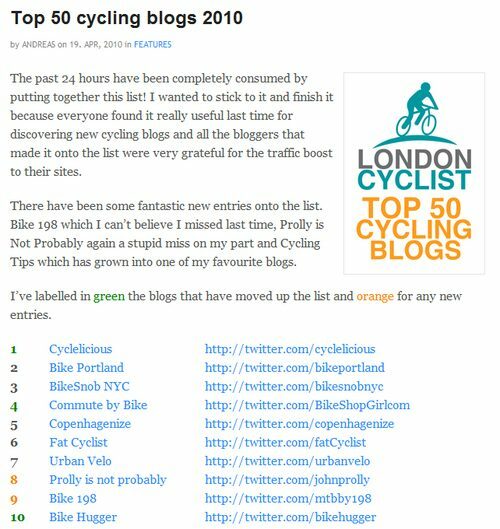 London Cyclist ( @londoncyclist ) is one of the UK’s top cyling blogs. Each year, they compile a list of the top 50 cycling sites from around the world. This year not only did Prolly is not Probably make it on the list, it also made it in the top 10! I’m truly honored. Check out who else made the top 50 list right here!